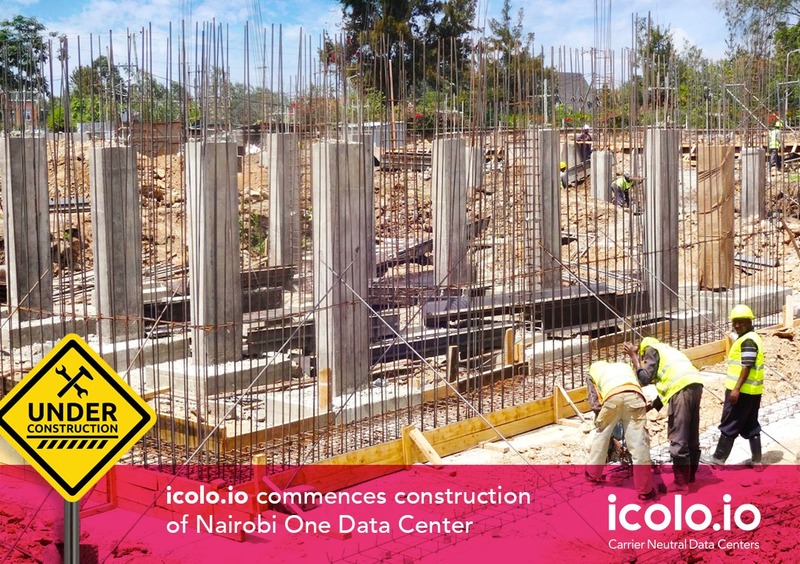 icolo.io, a provider of carrier neutral colocation services, has announced the commencement of construction of their second data centre, called NBO1, in Nairobi. This is the second icolo.io data centre in the country following the construction of the company’s first data centre in Mombasa. Construction of the NMO1 data centre started in November 2018 and is expected to be complete in August 2019. This new site will host more than 250 racks and accommodate IT power of 825kW. NBO1 will have over 624m2 of rack space in an architectural design which sits on a 4,400m2 area and supposed to be concurrently maintainable. This data centre is targeted at serving internet service providers, financial services institutions, enterprise customers, medical facilities among others. The building will be supported on drilled concrete piles with reinforced concrete columns, beams, and hollow-core concrete slabs, as well as raised floors in the data centre to enhance flow of cold air in all the white space and technical rooms. The building will have two dedicated Meet-Me Rooms that will serve as two diverse entry points for all fibres coming into the building thus providing redundancy for our connectivity partners. The NBO1 is located in Karen near the Catholic University of East Africa Campus and will be equipped with 624m2 of IT space, designed to carry power loads of over 2MVA on full IT load. The data centre will offer 12 different carriers to choose from with multiple fibre entries to ensure redundant connections when operations commence in August 2019. It is expected to boast of seven physical security zones and dual security control provide defence in depth.